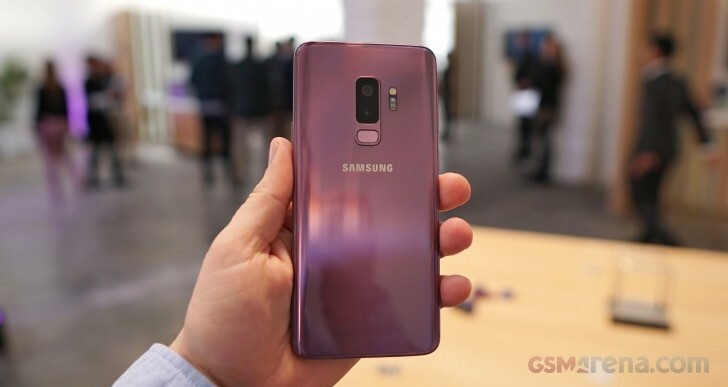 Although they only go up for pre-order in the US on March 2, the Samsung Galaxy S9 and S9+ have already entered that phase up north in Canada ahead of their March 16 release. Interestingly, the S9 and S9+ are cheaper at launch in Canada than their predecessors were last year, when the S8 went for CAD 1,035 and the S8+ commanded a price of CAD 1,115. So at least in some parts of the world the rumored price hike for the new handsets hasn't panned out. The Canadian versions use the Snapdragon 845 chipset like those intended for the US, and not Samsung's own Exynos 9810 which can be found in devices sold elsewhere. The color versions available in Canada are Lilac Purple (pictured above) and Titanium Gray. You can pre-order the unlocked S9 for CAD 959.99 or the S9+ for CAD 1,099.99 from the likes of Best Buy or Samsung's own online store. Those are the official prices for the country, by the way. Until April 8, if you trade in your old phone at Samsung's store, you can get a minimum of CAD 100 off in addition to the trade-in value. If you'd rather get either phone from a carrier, right now Rogers and Fido are your only choices. Rogers will ask you for CAD 249 for the S9 on a two-year Premium+ Tab plan, and CAD 379 for the S9+ on the same contract. That plan's lowest option ranges from CAD 87 to CAD 130 depending on data and province. You can also pay more upfront if you select another plan, which will be cheaper each month. Rogers will give you up to CAD 150 off with a qualifying trade-in (the minimum value is CAD 25). You also get a free wireless charger if you get the phone with a plan. Fido will sell you the S9 for CAD 999 without a contract, and the S9+ for CAD 1,129 in the same arrangement. If you'd rather have a two-year agreement on a Large plan, then the S9 is CAD 449 upfront, while the S9+ will set you back CAD 579. Here too if you opt for a cheaper monthly plan (like Medium or Small) you pay more upfront - up to CAD 669 for the S9 and CAD 799 for the S9+. If you trade-in an old phone before April 9, you can get CAD 150 off from Fido. Thanks for the tip, CHMultimedia! All cellphones in Canada, as of December 1 2017 can be unlocked free and should be bought unlocked.